The poor i8 was then submerged for 24 hours. 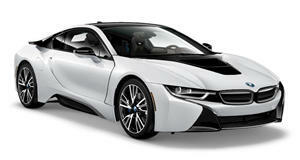 Earlier this week, a BMW i8 hybrid sports car caught on fire at a dealership in the Netherlands. Because the i8 is electrified and has lots of flammable components, firefighters decided to use a rather unconventional method to deal with the fire. As photos posted by the fire department’s Facebook page show, the hybrid coupe was picked up by a crane before being dumped into a giant water container. The poor i8 was then submerged for 24 hours to make sure the flames were extinguished and prevent the battery from exploding. After the car was lifted out, emergency services needed to make sure the water used was discharged in a safe manner, since it now contained all kinds of acids and toxic substances. After seeing batteries in Tesla models continue to burn after being extinguished, you can’t blame the firefighters for not taking any chances. While this i8 isn’t fully electric, these types of extreme measures are apparently necessary when dealing with electric motors and lithium-ion batteries. Thankfully, there were no injuries reported as the car was taken out of the BMW dealership and onto the street as soon as the fire was spotted, but the i8 is likely to be a total loss. The current BMW i8 hybrid coupe and convertible is equipped with a 1.5-liter turbocharged 3-cylinder gasoline engine and an electric motor that produce a combined 357 hp and 420 lb-ft of torque.